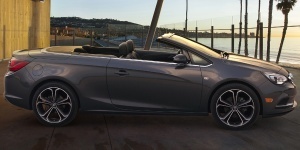 The Buick Cascada is a handsome convertible combining decent performance from a 4-cylinder turbo with four seats and a comfortable ride, for an affordable price. For 2016, the Buick Cascada is all-new. Find the used Buick Cascada of your choice from a dealer in your area. Search our used car listings now.